Where the Wild Things Are is a children’s classic. Children easily relate to the story of escaping to an imaginary land and having an adventure, especially after being sent to their rooms after being told off by their Mum! 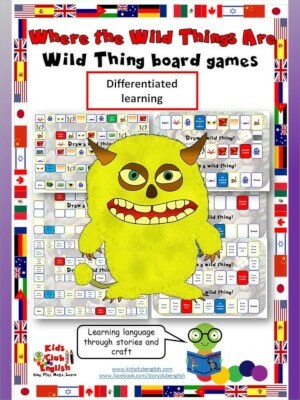 Follow the adventures of Max and his encounters with the Wild Things. 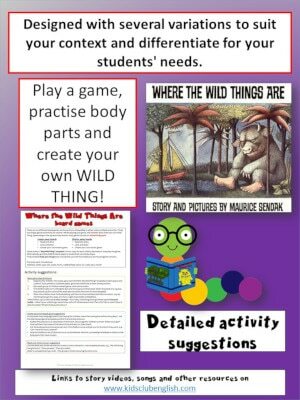 This story gives us a fantastic opportunity to learn and practise animal body parts vocabulary. You could also link to the theme of nature. 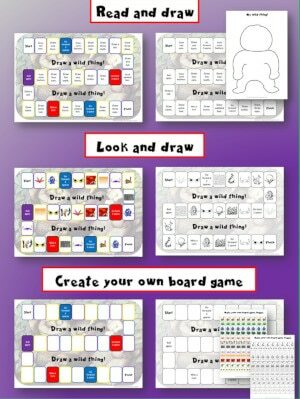 A selection of board games to print and play OR templates to make your own. 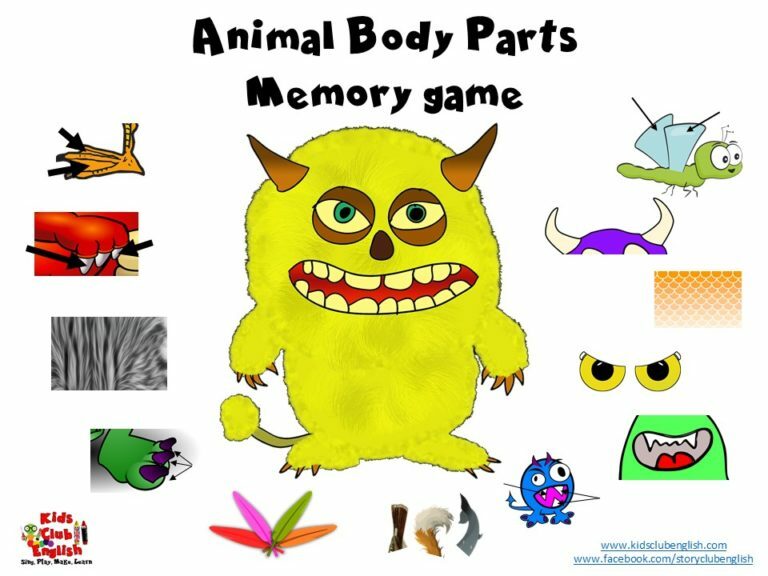 Perfect for practising animal body parts vocabulary and for differentiating according to age or ability. 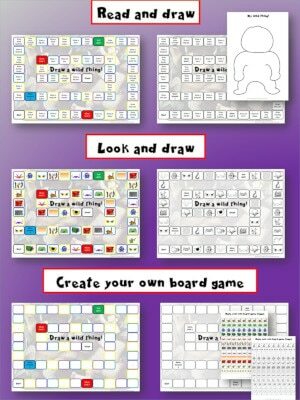 Detailed Activity Suggestions are included for ideas to maximise language learnign opportunities.